At this point, the benefits of using cloud hosting for ecommerce websites - rather than on-premises hardware, dedicated or shared hosting - are well-established. In a market where website speed, uptime and the ability to cope with sudden spikes in traffic are essential, there’s a lot to be said for fast, rapidly scalable and resilient cloud infrastructure. But what will decent cloud hosting actually cost your ecommerce business? Here, we look at some of the key cost factors to consider. In ecommerce as in any other industry, one of the key drivers for the use of cloud hosting is cost: you only pay for what you need, when you need it, and never need to pay for resources that sit unused for months on end in anticipation of peak periods such as Black Friday. However, a high-quality, ecommerce-ready cloud hosting service will still set you back more than shared or VPS hosting. This is because - unlike shared hosting - you pay for your own dedicated pool of CPU and memory resources, and - unlike VPS hosting - you benefit from a hardware environment with no single point of failure. Both are essential for an ecommerce business, where you need predictable performance from your resources plus maximum protection against downtime. The cost differences between cloud and dedicated server hosting for ecommerce are less obvious, as a dedicated server on a long-term contract may sometimes be offered at a lower price than a cloud server of equivalent spec. For an ecommerce business looking for flexibility, however, we would caution against the dedicated server route as it’s much more difficult to scale up to meet demand or add redundancy (your only option may be simply to invest in a second server). Our advice? Go for cloud hosting, but just start with what you need and don't over-spec - after all, one of the fundamental benefits of cloud is that fact that you can always scale up later. Many companies buy into cloud because of its scalability, but still pay for more resources than they need and miss out on many of the cost benefits compared to dedicated or on-premises hardware. Any decent cloud provider will tell you it’s better to start small and scale up (and, from a technical perspective, easier to scale up than scale down), and even help you plan to do this around peak periods. Cost of software licences. It’s hard to imagine running an ecommerce website without an established platform such as Magento, so check if your provider will include this or if it works out more cost-effective to licence and install it yourself. SSL certificates are also an ecommerce essential, so check if your provider will supply them or if you’ll need to pay to have them installed. Cost of support. In the ecommerce world, downtime and performance loss have a direct impact on store revenue. For digital agencies that develop ecommerce websites for their own clients, they can also damage client relationships and even lead to loss of business. For these reasons, it’s important to have peace of mind that your provider would be able to support you were something to go wrong - and do so without racking up massive support costs. 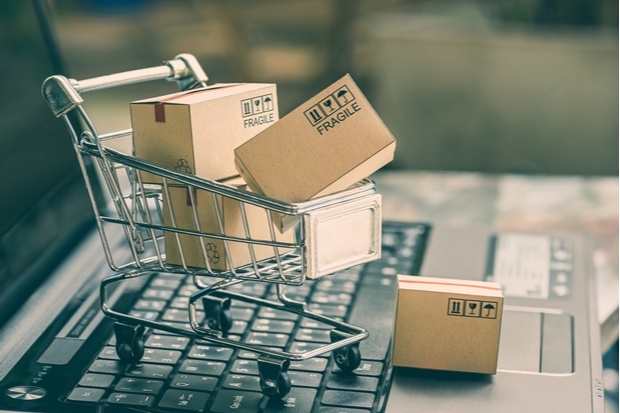 Finally, for the best possible insight into whether a cloud hosting solution for ecommerce is a good deal, we recommend you take a look at the infrastructure underpinning it all. Whatever server product you buy, your provider’s data centre is really where the rubber hits the road - so check that it’s the sort of place you’d be happy for your website, or your clients’ websites, to be hosted. For more advice on how to get under the skin of your provider’s data centre, check out our free ebook: The data centre services buyer’s guide.